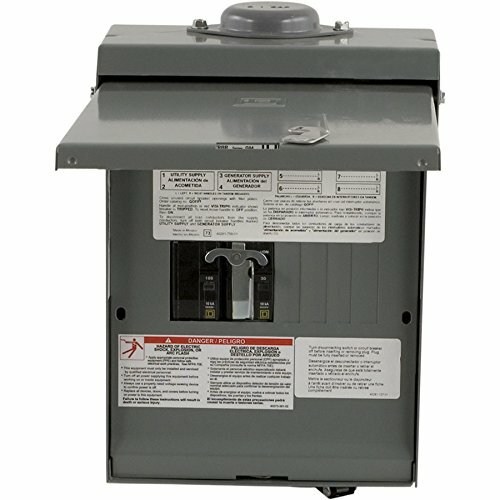 Connecticut Electric "G2" series generator transfer switch kit featuring 30A, 10 circuit "G2" series transfer switch, 30A rainproof generator inlet box and 30A, 10 foot power cord. 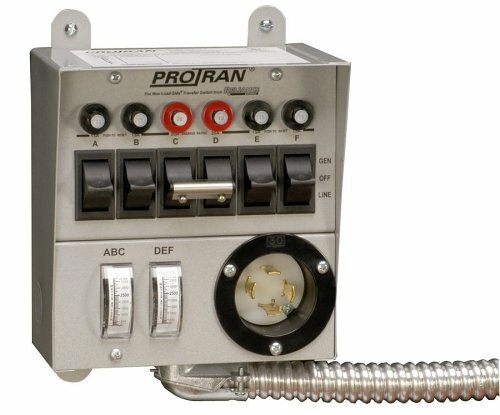 R306A Features: -Pro/Tran 2 series is UL listed to UL standard 1008 and is suitable for use in accordance with article 702 of the national electrical code ANSI/NFPA 70. -Made in the USA. Country of Manufacture: -United States. 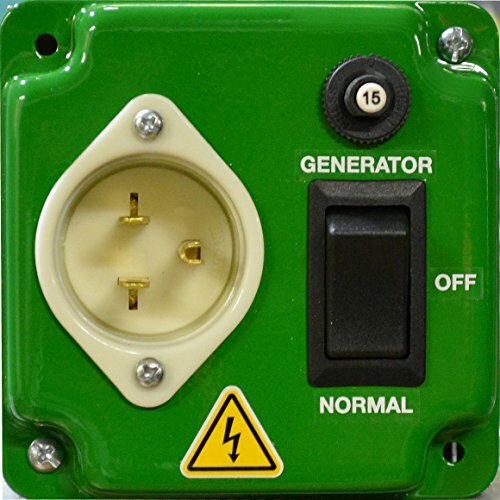 Product Type: -Transfer switch cover. Hardware Finish: -Painted steel cabinet. Finish: -Steel. Dimensions: Overall Height - Top to Bottom: -13". Overall Width - Side to Side: -8". Overall Depth - Front to Back: -5". Overall Product Weight: -18 lbs. 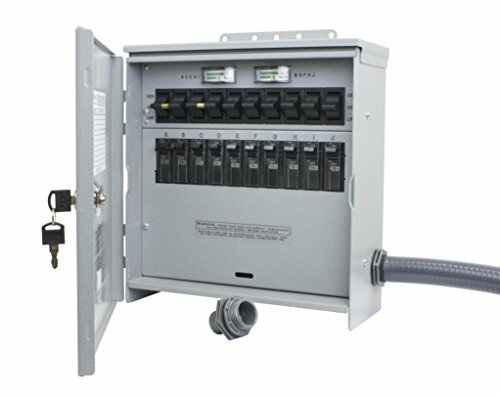 The Square D by Schneider Electric QO 30/100 Amp 4-Space 8-Circuit Temporary Transfer Generator Panel helps you change from utility power to a standby source with the flip of 2 QO main circuit breakers. 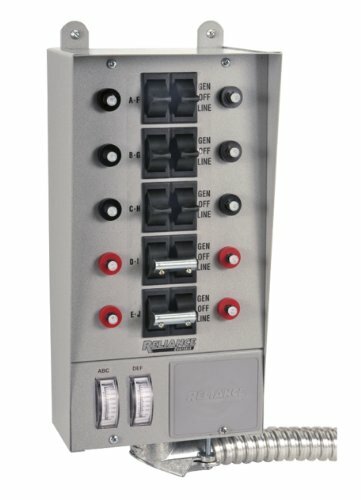 The panel is intended for outdoor use to connect to a standby power source for as many as 8 circuits. 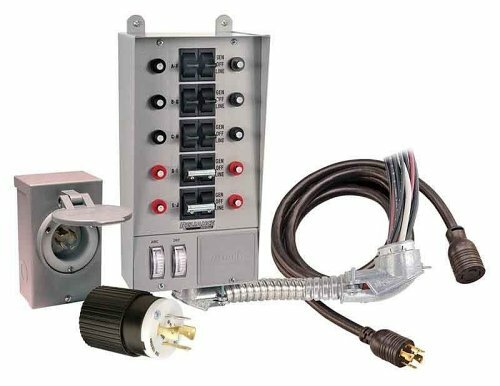 The ANSI-certified and UL-listed unit features a mechanical interlock to help ensure that only 1 main circuit breaker is in the on position at any time. 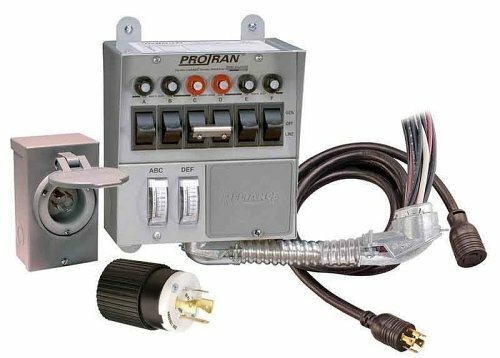 R310A Features: -Pro/Tran 2 series is UL listed to UL standard 1008 and is suitable for use in accordance with article 702 of the national electrical code ANSI/NFPA 70. -Made in the USA. -NEMA Rating: 3. 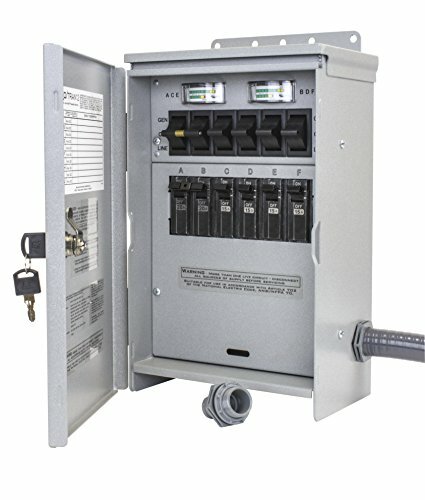 Product Type: -Transfer switch cover. Finish: -Steel. Country of Manufacture: -United States. Dimensions: Overall Height - Top to Bottom: -13". Overall Width - Side to Side: -12". Overall Depth - Front to Back: -5". Overall Product Weight: -25 lbs.